Please note that the content of this book primarily consists of articles available from Wikipedia or other free sources online. Naursky District is an administrative and municipal district (raion), one of the fifteen in the Chechen Republic, Russia. Its administrative center is the rural locality (a stanitsa) of Naurskaya. District's population: 51,143 (2002 Census); 46,360 (1989 Census). 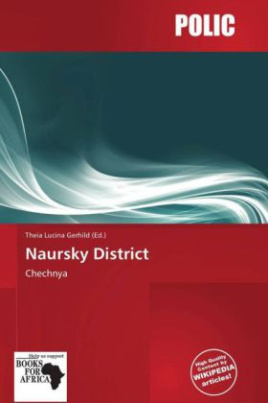 Population of Naurskaya accounts for 16.7% of the district's population. In the second half of the 18th century, the area was settled by the Russian and Ukrainian Cossacks. Several stanitsas were founded. In 1771, after being wounded at the siege of Bender, the future Cossack insurgency leader Yemelyan Pugachev came to live at Ishcherskaya with his family.